BW Bosenberg & Company is a landscape architectural firm specializing in residential, corporate and municipal landscape site planning and design since 1989. They provide services to individuals, private developers, state agencies, corporations and institutions and needed a website that showed the breadth and depth of their work. They came to us because they were having issues keeping their current website up to date. They wanted to update the design to better reflect who they were as a company, and make it easy for them to update, while also having a team behind them that could manage the necessary upgrades/updates and ensure their site wouldn’t be broken after them. 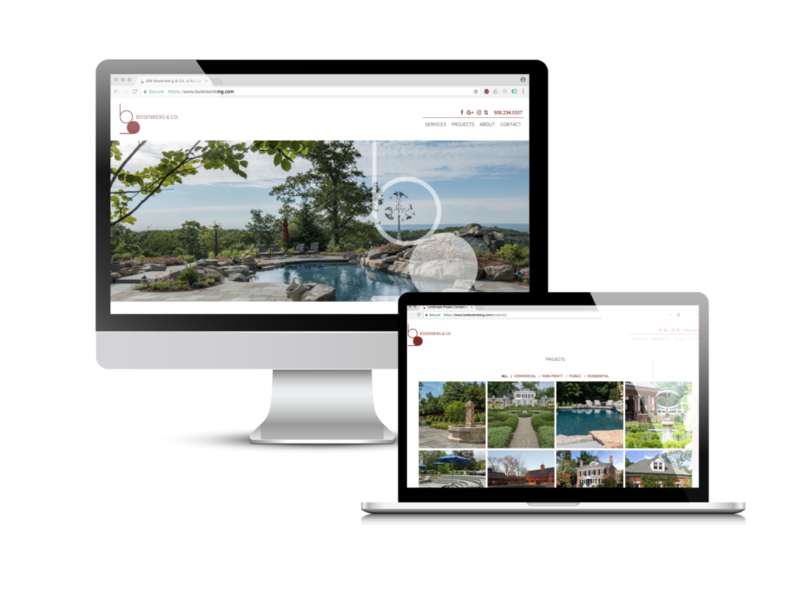 We worked with them to create an easy to navigate sitemap, as well as a way to simply present all of their past projects, and easily be able to add new projects. We built BW Bosenberg a brand new WordPress website that not only showcased their work, but makes it easy for them to update and add to it, as well as makes it easy for their potential client to filter and browse their work, finding the projects that are relevant and interesting to them.